In business since 1997, Arizona Outback Adventures specializes in multi-day guided adventure tours throughout the Southwest, single-day guided tours in Scottsdale, Arizona and the Phoenix metro area, bicycle rentals, and team building and other events for corporate groups. Each year, over 8,000 guests trust AOA to handle their daily activities and week-long vacations. From the individual traveler to the family vacation, from the small corporate retreat to the large company team building event, we take pride in offering a truly unique outdoor experience with an unsurpassed level of service. Our staff is comprised of professional and experienced guides/facilitators with the perfect blend of corporate know-how, and extensive outdoors experience. We aim to create unparalleled memories for you, your family, and your fellow adventurers. Guided hiking and backpacking trips to Yosemite National Parka and Rocky Mountain National Park! 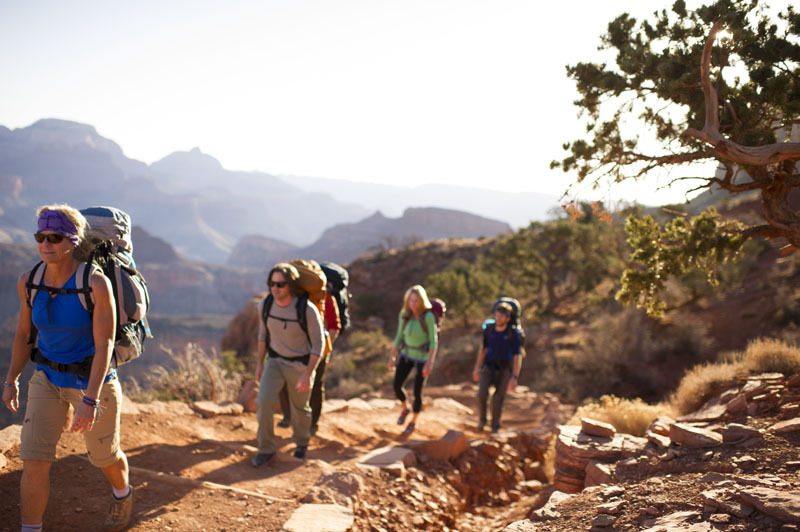 Guided hiking and backpacking vacations to the waterfalls of Havasupai. Guided Mountain Biking trips in Arizona and Southern Utah! All of our guided trips have fresh and nutritious meals cooked by the guides to fuel our guests for their adventures! You are submitting a booking enquiry. Arizona Outback Adventures will then contact you by email with details of availability and prices.